We’d like to think that the growing season is on its way. Ron optimistically pruned the apple trees yesterday. Today we have 6 inches of new snow. We know it can’t last, but everyone in the area feels the pain of one more day of winter’s blast. The vinegary has been bustling with wine-making students. Have I mentioned that Ron gives classes for individuals and small groups? Working with wine kits, home grown or purchased fruit, participants learn the science of wine-making and set up their own batch in the first class. They come back to rack-off the wine from the primary fermenters into carboys and to monitor the fermentation process. Then a few weeks later, they come back again to bottle their wine and take it home. We have everything needed for making wine: all the equipment, materials and ingredients; even the bottles, corks and corkers. Some groups come back again and again for a fun time out and a good product to take home. Email Ron for more information. I’ve mentioned in a couple of previous posts about the new labels for our vinegar bottles. 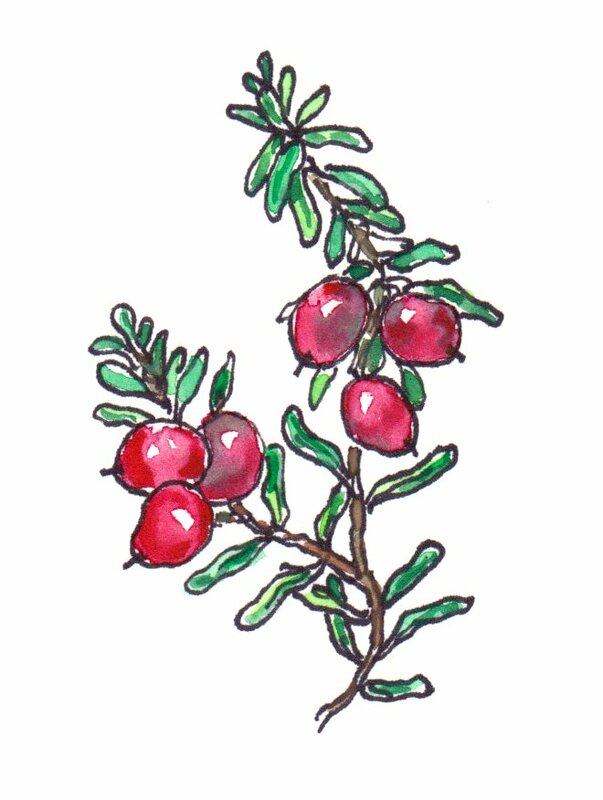 I’ve painted 11 fruit images to identify the fruit flavors of the vinegars. You can see all of them at Whimsy Home Designs. 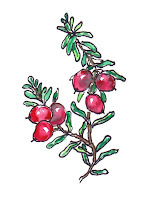 Those same images also help identify the kind of vinegar used in some of our new products: Rhubarb Vinegar Soap, Raspberry Vinegar Soap, Cranberry Vinegar Lip Whip and Raspberry Vinegar Skin Cream. For now, you can see these products on the Whimsy Home Designs website. Soon, they’ll be added to a new Leatherwood Vinegary web store. Another recent development: the folks at Smude’s Sunflower Oil have put together a catalog of locally produced items for school fundraisers. The catalog looks great and it’s an absolutely terrific idea to offer high quality local products when the kids need to generate funds for their activities. Learn more on their website.